The above observation appeared in an article which was written by Darshani Wimalasuriya under the caption of “Sri Lankan Universities In Dire Straits.” True, I agree with her but disagree with the most of the reasons she cited for above situation. Why? Because the most causes she identified are not the causes but the effects in the University system if we investigate the problem under the principle of cause-and-effect. The real cause of the problem is how the University Administration envisions the role of Universities. For example, if the UGC chairperson professor Kshanika Hirimburegama does not envision that Sri Lankan Universities should produce research publications that capture international attention, then you would have the outcome mentioned above. Instead if UGC envision that our students must carry out world class researches then Kshanika would facilitate students to follow the advice given by Galileo Galilei. The role of Universities is to contribute to the development of the noösphere (= noosphere). The word noosphere was coined by Russian Physicist Valdimir Vernadsky. We know similar words such as biosphere or geosphere. Rich biosphere and geosphere are important to produce things for the wellbeing of society. But in the new world, Vernadsky argues that noosphere is the most important. He defined noosphere as the “sphere of human thought.” Why it is important? Let me give you a quick example to explain it. n early 1970s a car drove 13 miles per gallon of fuel in the United States. By 1985 the mileage done by one gallon of fuel was 27. In both situations geosphere provided fuel. But fuel efficiency of the vehicle is purely related to the development of engineering knowhow which knowhow belongs to the “sphere of human thought.” In other words advanced engineering knowhow is an element of the noosphere. The wellbeing of the modern society is heavily depended upon the ever expanding noosphere. Therefore, am I wrong when I define the role of University as I defined above? Does this how Professor Kshanika defines it? The understanding or the definition of the role of Universities is important, because it sets your vision for the University system. Perhaps some may define that the role of universities is to educate the future leaders of the government, businesses, services and industries in keeping with global trends. This definition is not bad. But if this understanding set the vision of the University administration then we cannot expect our students carrying out world class researches and engage in publication of latest findings that attract international attention because university administration does not envision that our students should contribute to the development of noosphere. But Sri Lankans do contribute to the development of noosphere when they work elsewhere in abroad. 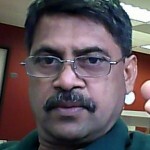 One such notable person who lives in the U.S. is Dr. Bandula Wijeratna. 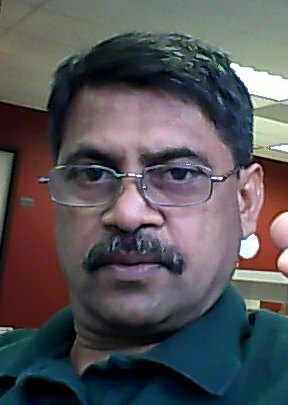 In the list of Mahinda College alumni, which has been published in Wikipedia, Dr. Wije has been identified as the “Inventor of Angioplasty Balloon Catheters & Cardiac Stents.” This is an example of the contribution towards the development of global noosphere by a Sri Lankan scientist. Why Sri Lankan Universities cannot do such contributions? My answer is that UGC has not envisioned it. Darshani who made the observation mentioned at the very beginning of this article has a different answer to above question. She has identified different set of reasons for the lapse. Some of those are: ragging and violence, student unions, medical doctors with poor English knowledge and “Majority of Sri Lankan University Professors, and senior lecturers do not have the desire, to improve, the quality of the local universities, or stop sadistic ragging.” I am sorry to observe that with this kind of analysis we will not go anywhere. Can the UGC be inspirational at the same time functioning it as an administrative body? Or should the UGC be inspirational facilitating faculty members and students to envision their life with new hope? My answer is “yes” to both questions. Was professor Kshanika appointed as the Chairman of UGC to do this? Or is she doing that? I do not know. But, what I know is that if professor Kshanika is envisioning that our University must contribute to the development of noosphere then as I said above, she must facilitate students to follow the advice given by Galileo Galilei. What is the advice of Galileo? How do we make our students to stand upon the shoulders of giants? Facilitate them to access the work that “giants” have done. This means that our students must be able to know the latest research findings published anywhere in the world. These findings are published in “peer-reviewed journals.” About six years ago I happened to ask from a professor of chemistry as to whether his students had access to “peer-reviewed journals” in chemistry. He said no. Giving access to peer-reviewed journals cost a little bit of money. But such accesses are necessary. I do not know how his students inspired at least to come up with internationally valid research question/s. If this situation has changed now then it is good. If it is so, then it implies that UGC is now envisioning big.